Darrell Graham, 80, passed away January 18, 2019 in Eureka, California, with his wife of 56 years Joyce Graham (nee Bookhamer) by his side. He was born on March 9, 1938, in Eureka, California, to George Graham and Grace Graham (nee Dake). He proudly served in the United States Air Force from 1957 until 1961. Darrell was stationed at the Beale Air Force Base near Marysville, California, and later in various parts of Alaska. During his time in Alaska, he befriended several Eskimo natives and used his leave time to interact regularly with the villagers and learn some of their trades. He also spent many of his off-duty hours perfecting his photography skills. Once discharged from the Air Force, Darrell returned to Eureka, where he met his wife, Joyce Bookhamer, and they married on August 18, 1962. They embarked on many backpacking adventures in the Trinity Alps prior to starting their family with the birth of their son, Lorne, on April 28, 1968, and their daughter, Janelle, on July 6, 1970. He was extremely proud of his children, and he and Joyce provided a wonderful upbringing for them, as well as providing lessons on life, love, happiness, and finding satisfaction and balance in life and work. 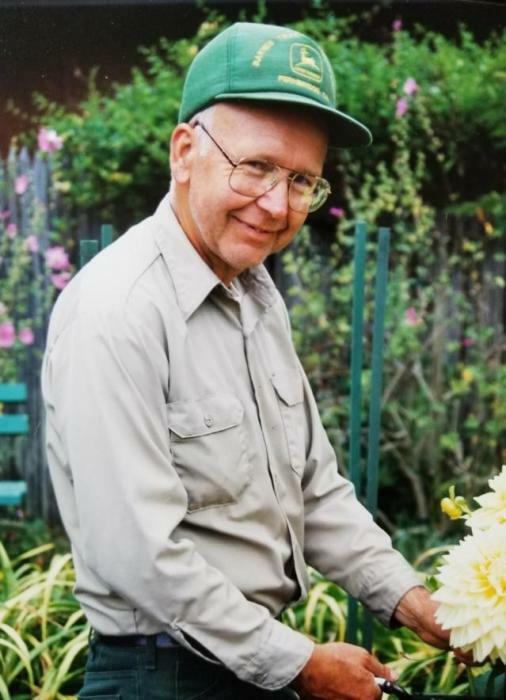 Darrell worked for the City of Eureka as the Sequoia Park gardener from 1962 until his retirement in 2000. Always with a wry sense of humor, he maintained that hundreds of weddings (and likely some divorces) took place in the garden. His high profile position at Sequoia Park helped the park become a destination location for visitors from around the world. He especially enjoyed his conversations with actress Rene Russo when she visited during her filming of “Outbreak” in 1994. Darrell not only excelled at gardening but also built kites and windmills which thrilled family members and friends. Following retirement, Darrell and Joyce traveled to many countries and throughout the United States to see as much of the world as they could, meeting people from all backgrounds and cultures. They made connections with people in Australia, South Africa, New Zealand, Scotland, and England, just to name a few. Darrell was preceded in death by his mother, Grace Graham (nee Dake), father, George Graham, step-mother, Edna Graham, and brother and sister-in-law, Russell and Patricia Graham. He is survived by his loving and dedicated wife, Joyce Graham, son, Lorne Graham, and his wife, Susan, of Fanwood NJ, daughter, Janelle Thomas, and her husband, Ed, of Reno NV, grandchildren, Nathan and Rachel Graham; Colby, Shawnie and Graham Thomas, and his cat Crystal, who was a loving and faithful companion. Darrell will be missed for his constant love, humor, support and strength. A Celebration of Life will be planned for later this year. In lieu of flowers, the family requests that donations be made to the Hospice of Humboldt, 3327 Timber Fall Court, Eureka, CA 95503, or Planned Parenthood – Eureka Health Center, 3225 Timber Fall Court, Suite B, Eureka, CA 95503.